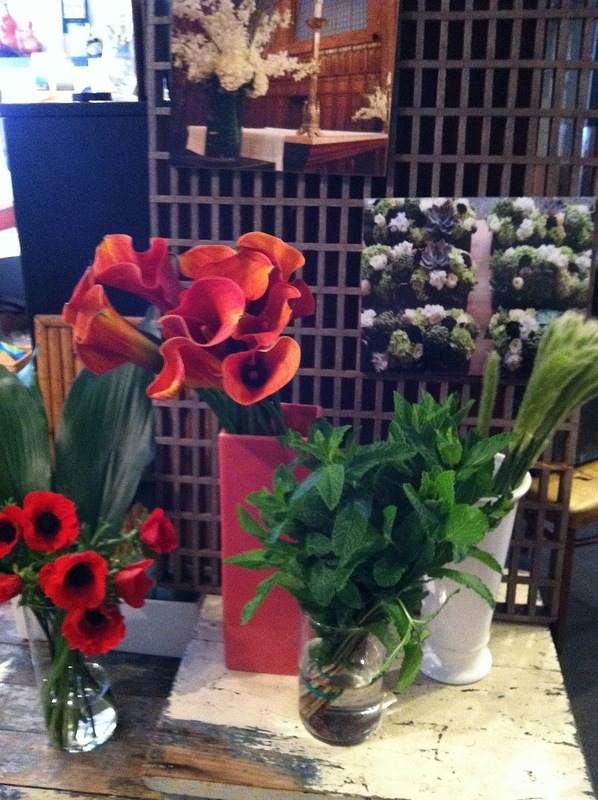 lovely flowers in for spring! 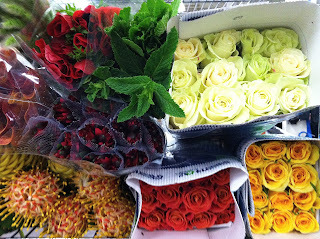 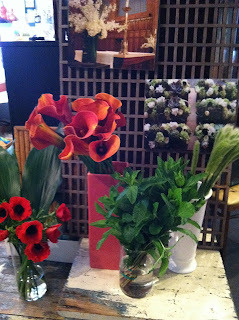 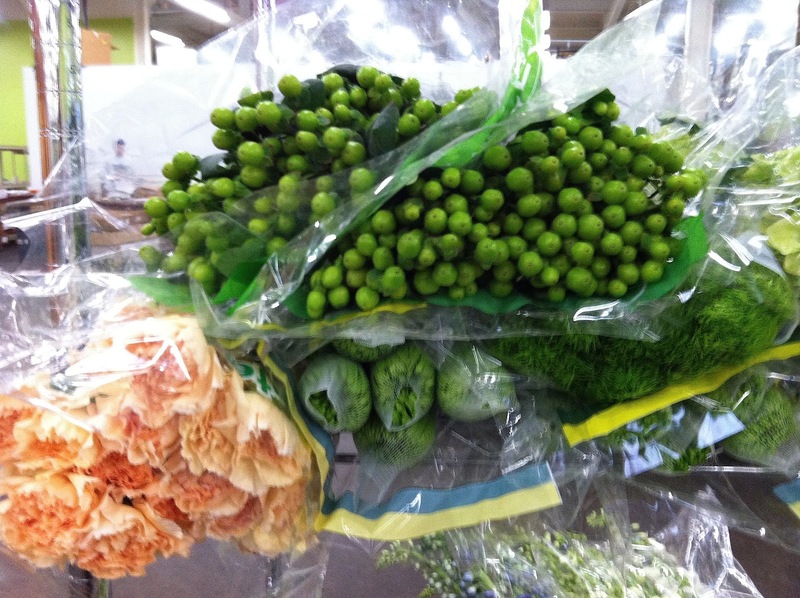 peach carnations and green hypericum berries, super spring colors! 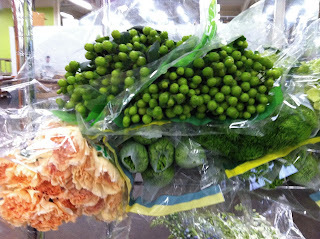 pincushion protea are great for texture!